UpCity.com has a monthly following of over 100,000 users. As a certified partner, you have the chance to showcase your expertise to agencies and businesses across the world by being featured on our blog! 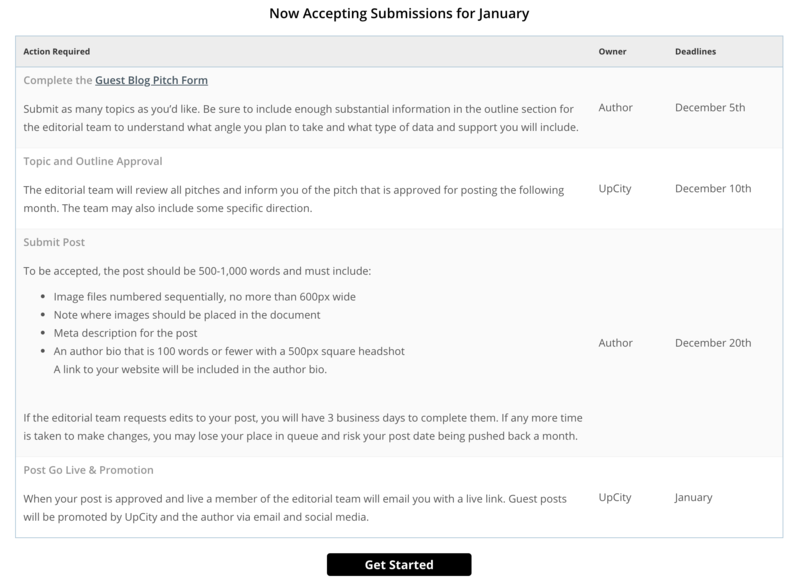 Not only does this include exposure via the UpCity email newsletter and social media, but you'll also receive a link to your website in the author bio, which can go a long-way for your SEO efforts! 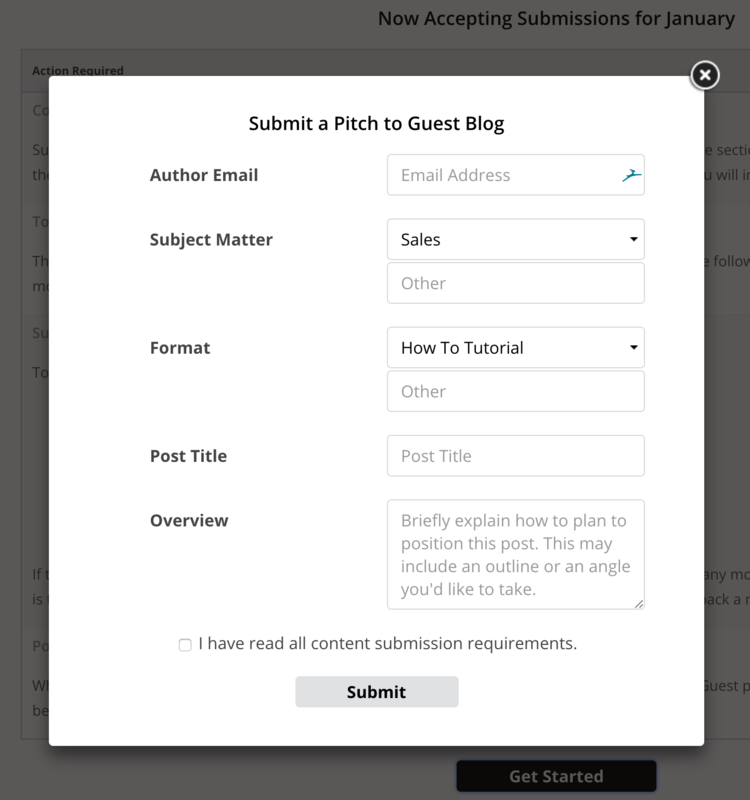 Beginning the guest posting process is easy! Simply visit the Guest Posting section in the Sales Center and click Get Started. We've developed an automated system that helps facilitate contact between you and our editorial team. All you need to do is fill out the form and we'll be in touch! For examples of previous guest posts, visit our Guest Post blog category.